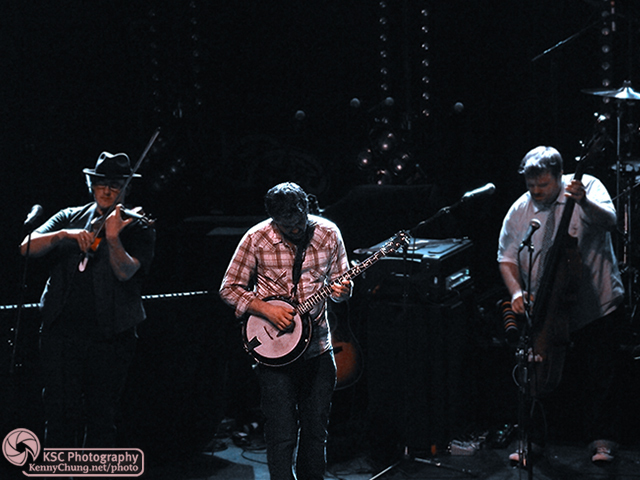 Mumford & Sons closed out their US tour with two shows at Terminal 5 in New York City. These pictures are from the second of these concerts. 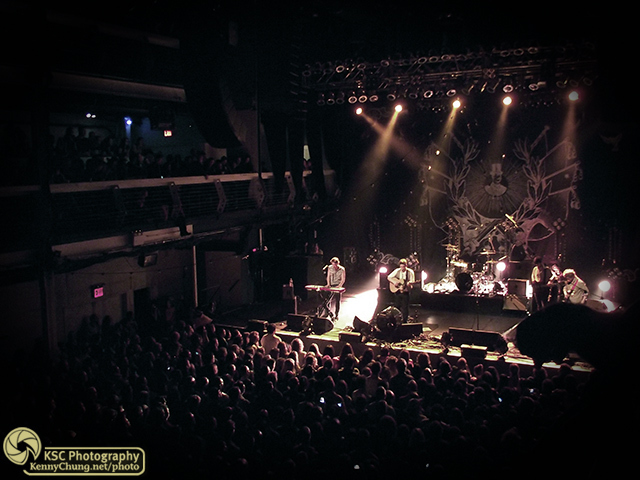 For videos, check out my Mumford & Sons at Terminal 5 playlist. Opening act King Charles was an amazing one-man act. He also performed an updated rendition of "We Didn't Start the Fire" with many great moments. 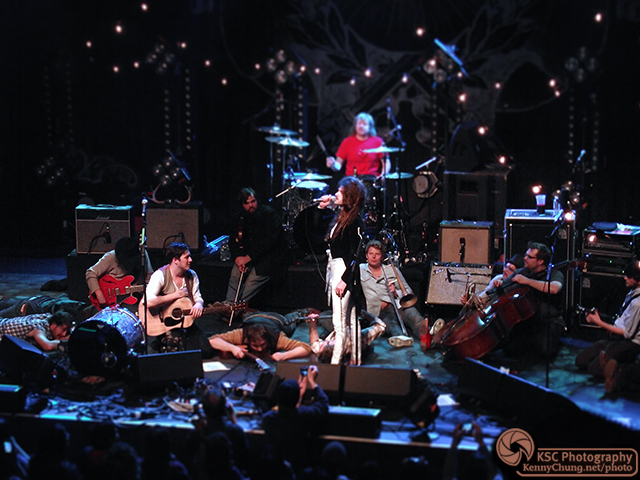 Members of both Cadillac Sky and Mumford & Sons joined King Charles to help close out his set. 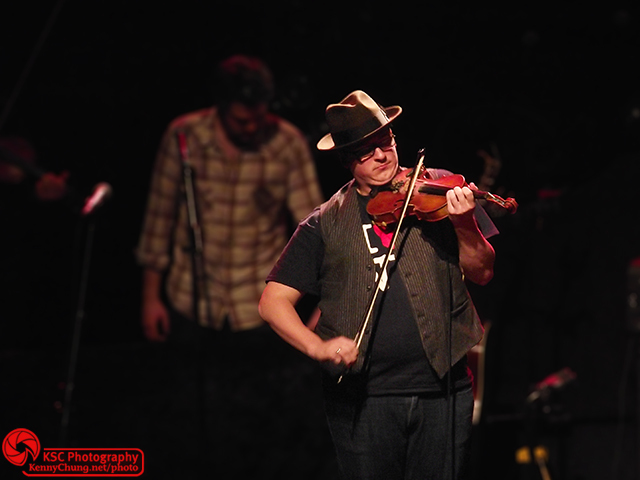 Cadillac Sky violinist Ross Holmes on stage during King Charles' set. Cadillac Sky performing at Terminal 5. From left to right: Ross Holmes, Matt Menefee, and Andy "The Panda" Moritz. 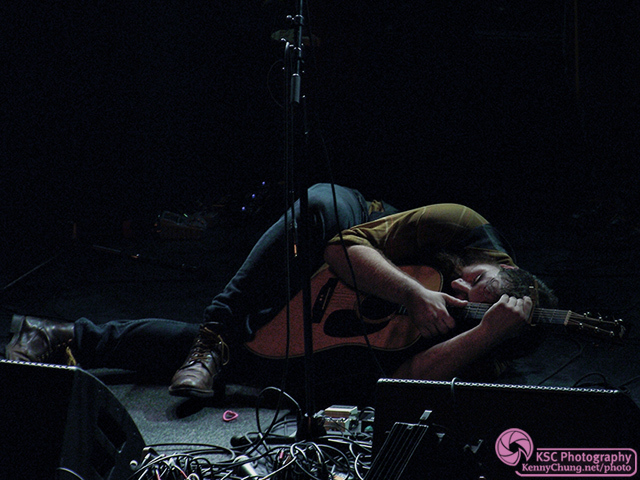 Cadillac Sky guitarist David Mayfield taking a nap on stage after the band played a version of Edvard Grieg's "Morning Mood." The Mumford & Sons stage backdrop at Terminal 5. Mumford & Sons take the stage at Terminal 5 to thunderous applause. 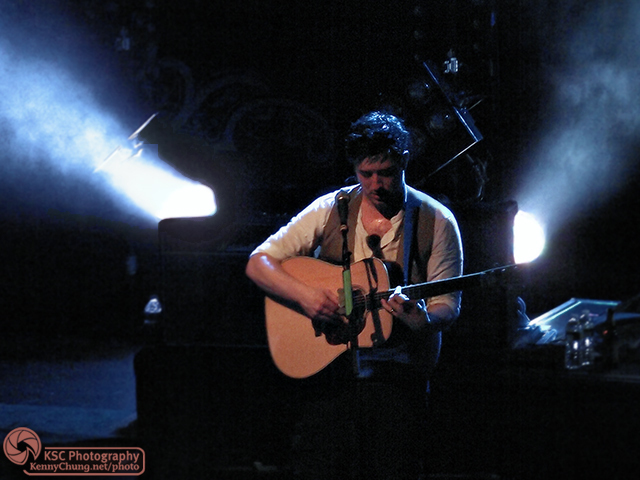 Mumford & Sons singer Marcus Mumford playing his acoustic guitar at Terminal 5. 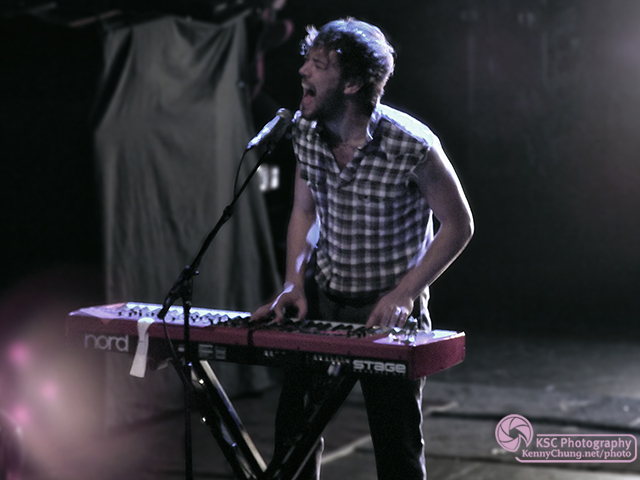 Mumford & Sons keyboardist/backup vocalist Ben Lovett singing. 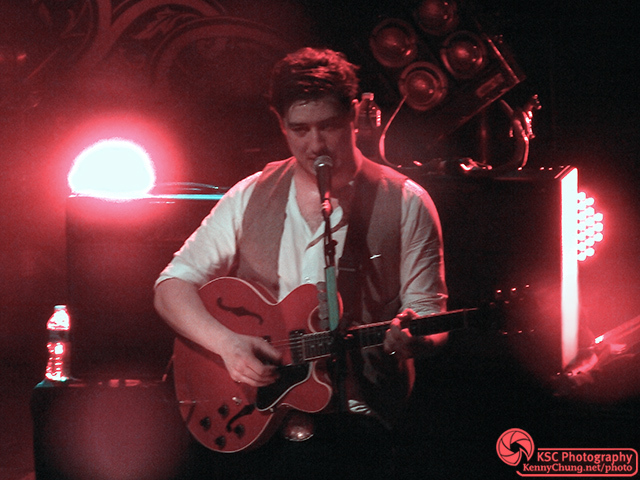 Marcus Mumford singing and playing his Gibson ES-335 semi-hollow guitar. 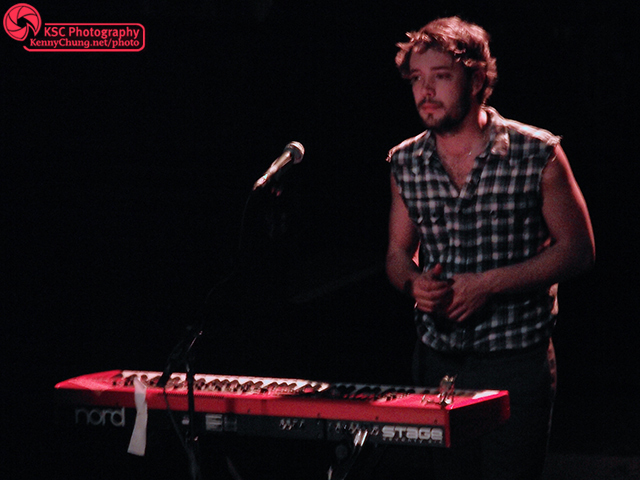 Mumford & Sons keyboard player Ben Lovett at Terminal 5. 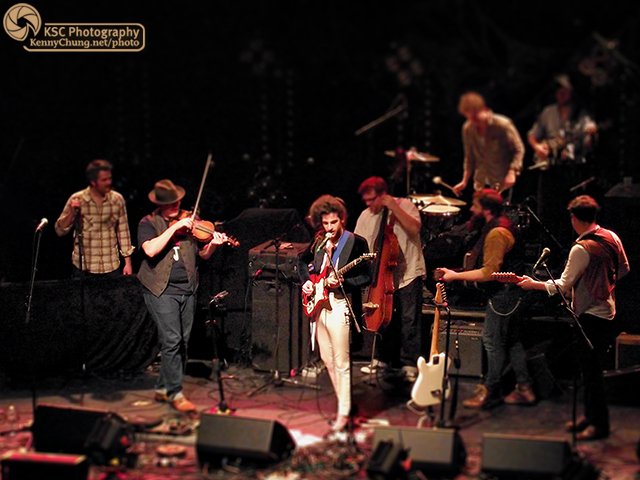 Cadillac Sky and King Charles rejoined Mumford & Sons on stage. 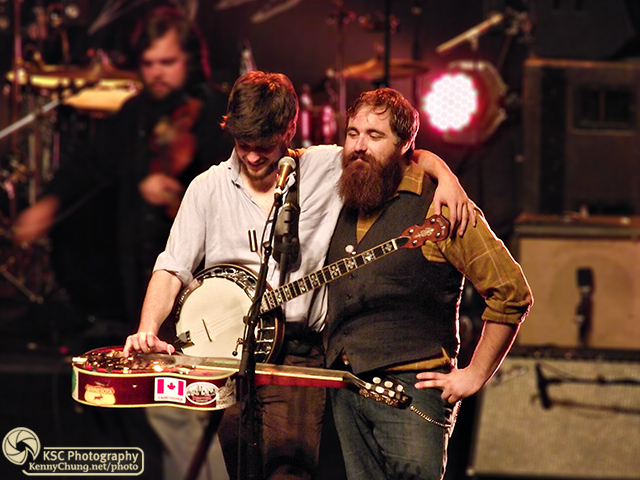 Here, we have Mumford & Sons banjo/slide guitar player winston Marshall with Cadillac Sky's Dave Mayfield. 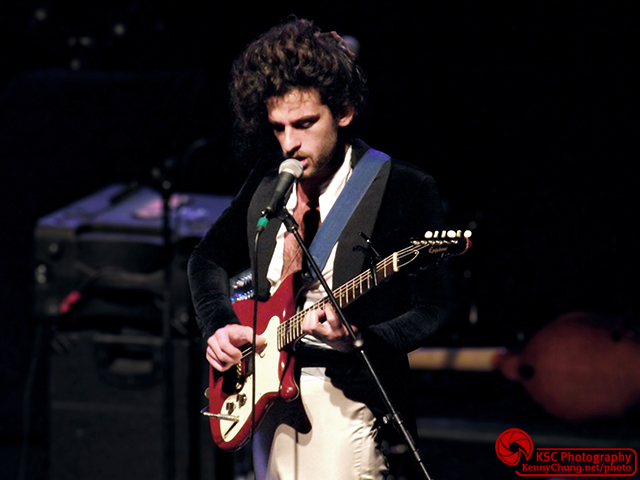 After the three bands play a song written by King Charles, he asks everyone to "break it down" and thanks everyone. King Charles then gave his song to Mumford & Sons in a very genuine moment.